Celebrate summer with your favorite floral print top, a brightly colored floral arrangements for voguish allure. 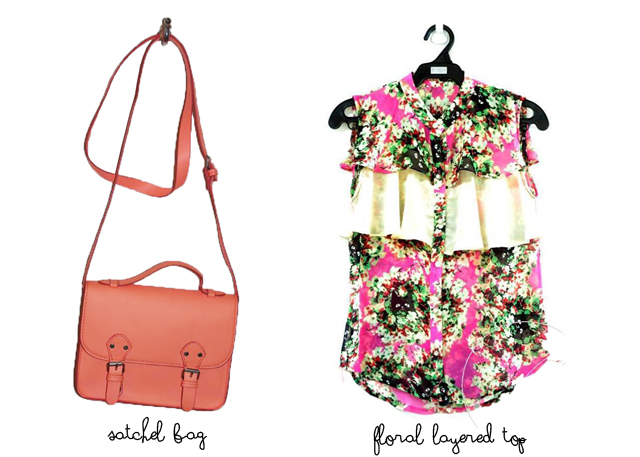 Floral prints signal that summer is fast approaching! Aside from new trendy tops and dresses, handbags are an important part of our whole outfit.The light colors like white, orange, yellow and pink, are all suitable for summer. However, the orange pastel looks amazing because it can match many of your summer outfits. In addition to looking beautiful, it comes with a shoulder strap to free both of your hands and perfectly for a chic look. Getting giddy to have it? Here's how to join! Two lucky winners will light up their summer on March 29, 2013 via Rafflecopter!